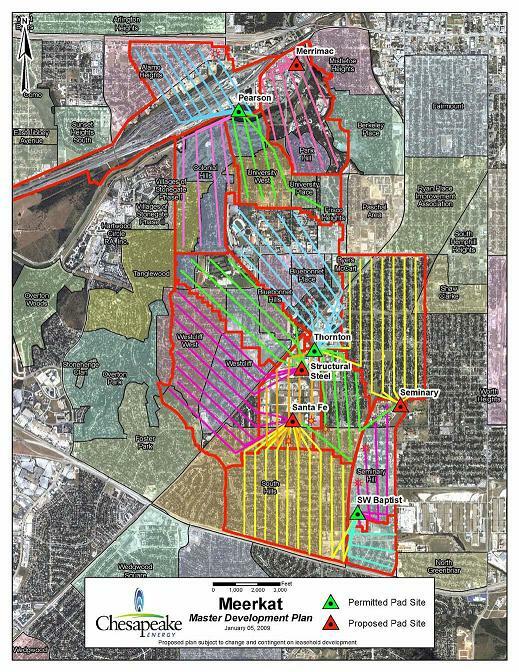 Chesapeake Energy has obtained City approval for a “master drilling plan” that lays out plans to drill 69 horizontal wells from seven drilling locations within the City of Fort Worth. The plan identifies the drilling locations and the gathering lines, and how produced water will be disposed of. The plan shows how horizontal drilling technology has revolutionized the drilling of wells in shale formations.